On August 3-4, 2013, Catherine Ryan and I will create a work in which audiences of the Underbelly Arts Festival will look out from a viewing platform on Cockatoo Island to find that the Sydney Harbour Bridge is gone. Signage on the scenic lookout will loudly declare that there is nothing to see here. For this work we have commissioned two writers to reflect on the image of the bridge’s absence. Our first essay, by Timothy Chandler, is below. A publication including this essay, as well as a piece by Ben Gook and a section containing other images of the invisible, will be available at the Underbelly Arts Festival to buy for a gold coin donation. View images of the work: Nothing To See Here (Removal of Sydney Harbour Bridge). You can also read the other essay: “Lest we Forget; Let us Forget.”, by Ben Gook. Can the Sydney Harbour Bridge really be made to disappear? Even if it were dismantled by the government that built it, destroyed by terrorists, or erased from view by artists using technological wizardry, could the bridge nevertheless remain exactly where it is, despite its absence from view? With Nothing to See Here (Removal of Sydney Harbour Bridge), Amy Spiers and Catherine Ryan show us exactly this: the bridge’s persistence beyond erasure. Accordingly, the artwork is so much more than a “now you see it, now you don’t” spectacle induced by a technological gimmick, though this is certainly where it begins for the spectator. This artwork constitutes one of the most interesting images of the bridge yet to be made – the first truly negative image of the bridge. The bridge is erased from view, but not from our memory – hence the spectacle – and in fact remains within the work negatively. As we will see, this is not only true in art but also in reality. In order to explain what I mean I will begin by recalling what is probably the most well-known artwork representing the Sydney Harbour Bridge: Grace Cossington Smith’s modernist painting The Bridge in Curve (1930). This is not the bridge we know: the arch is incomplete and the pylons and deck have not yet been built. It is an image of the bridge under construction, and a typically modernist image, too, in that it represents the grandeur and excitement of modern technological achievement embodied in the enormous steel structure dwarfing the natural and older built elements around it. Yet, as an image of the Sydney Harbour Bridge, the painting only has the meaning which it now has for us because we know the bridge as a complete, operational structure that has become central to the idea of Sydney as it is both lived and imagined. The bridge that we live with and create images of in 2013 informs our experience of this painting of its incomplete form. Unlike Cossington Smith and her contemporaries, we now read backwards from our current image of the bridge in order to recognise coherently this image of it under construction. The completed Sydney Harbour Bridge hovers negatively over the image of its incompleteness; we cannot un-know the bridge in its completed form. In the difference between these two images (complete and incomplete) we find a meaning for this artwork as a representation of the bridge. Spiers and Ryan are not the first to attempt an erasure of the bridge, or at least a part of it. In The Australian Ugliness (1960), the great polemic against Australian buildings and cities, Robin Boyd provides a drawing of the bridge without one of its rusticated pylons, which are purely ornamental and serve no structural purpose. For the modernist Boyd, such unnecessary additions to this elegant and powerful work of engineering are an example of the Australian tendency to tart things up by adding superfluous and often aesthetically questionable design features. Boyd correctly points out that the removal of the pylons changes the way we see the bridge completely. Rather than being drawn to the ends of the bridge, our eyes are now drawn to its heights and we get a better sense of how the bridge works structurally. But this experience of difference is only made possible by the actual existence of the pylons. Boyd’s sketch would have an entirely different function if it were not for the fact that the pylons were indeed built and remain in place today. The drawing would have no polemical content and no power to estrange us from the image of the bridge that we hold in our imagination. By removing one of the pylons from his drawing, Boyd alerts us to the fact of their existence; accordingly, he would never be able to remove them completely. What happens, though, when a large structure is removed from a city – actually rather than virtually? As Marshall Berman shows in his account of modernity, All That Is Solid Melts into Air, the experience of modernisation has been twofold: unprecedented freedom and self-determination for both societies and individuals coupled with a radical transformation of our social and natural surroundings, often resulting in the destruction of many of the things we hold dearest. The original instance of this transformation in an urban context is Baron Haussmann’s modernisation of Paris under Napoleon III in the 1860s, during which the mediaeval Paris of narrow, winding streets was replaced with the modern Paris of grand boulevards. In the first half of the twentieth century in Europe, many urban environments were destroyed beyond recognition by bombing during the two world wars. In the second half of the twentieth century, particularly in North America and Australia but throughout the world, cities were rebuilt along modernist lines, with large international-style towers replacing older and often smaller structures, shopping centres replacing high streets, and motorways ploughing through once lively neighbourhoods or once peaceful countryside. No doubt many people were displaced by the construction of the Sydney Harbour Bridge. For those who lived in the Rocks at the time, it perhaps constituted an exciting but ultimately unwanted transformation of the neighbourhood. Since the start of the postmodern era, we have become very nostalgic and resist strongly the loss of “historic” elements from our cities. The bridge is certainly now one such historic element in Port Jackson. This history of urban change takes an unexpected turn, however, after the millennium ends and the World Trade Center in New York City is destroyed by terrorists. This loss from the urban landscape and the resulting trauma are of a much greater magnitude and of a different kind than those losses incurred by the wrecking ball in the name of progress. (But this instance of destruction is also categorically different to the immensely devastating and terrifying bombings of the Second World War, most particularly those undertaken in Germany and Japan.) For those of us who have never lived in New York City, the loss of the Twin Towers from its skyline is only something experienced through the differences of representations, for example in the old postcard that includes the towers and the new one that does not. Their absence from the new image, as in the film Zoolander (from which the towers were erased prior to its release shortly after the attacks of 2001), is always noted, which is to say, the towers’ absence in our images of the city gives the buildings a ghostly presence. Accordingly, the September 11 Memorial on the site of the World Trade Center could not be more fitting: two square, one-acre footprints left in the ground where the towers once stood signify their absence. So, when we look through Spiers and Ryan’s viewfinder on Cockatoo Island, what do we see? We do not say that we see Sydney Harbour; rather, we say that we do not see the Sydney Harbour Bridge. This artwork is less about what we see than about what we do not see. But not seeing something in particular still requires the act of seeing in general. 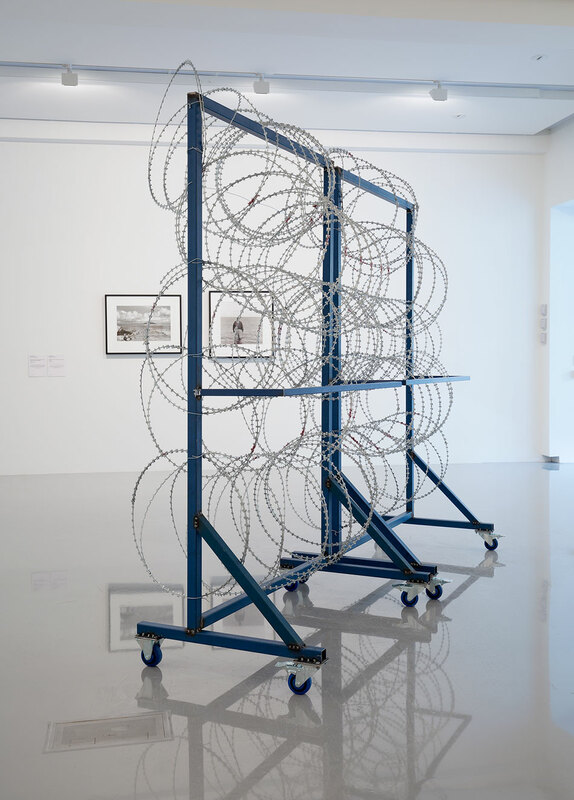 It would be more accurate to say, then, that this artwork, while it may not be about what we see, is still nevertheless and primarily about seeing. The object of seeing is images. If we say that we do not see the Sydney Harbour Bridge, we are still nonetheless “seeing” it negatively. Nothing to See Here accordingly presents us with the bridge’s negative image, the image of its absence. Finally, the removal of the world’s most famous steel arch bridge, though only momentary, could direct us to recall other attempted erasures in Australian history, including, most especially, the doctrine of terra nullius and the genocidal acts carried out in its name. 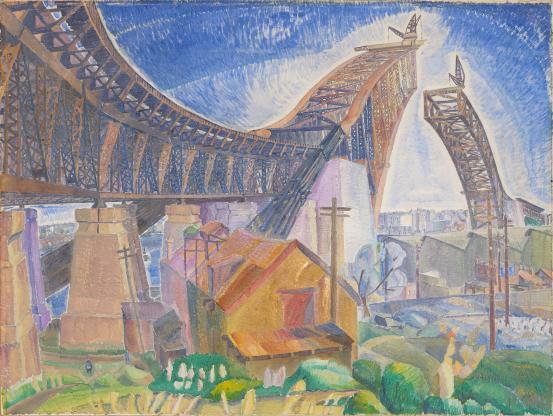 Figure 1: Grace Cossington Smith, The Bridge in Curve (1930), National Gallery of Victoria (source: http://www.ngv.vic.gov.au/learn/schools-resources/art-start/image-bank/grace-cossington-smith). Figure 2: from Robin Boyd, The Australian Ugliness (Melbourne: F.W. Cheshire, 1960), p. 23.